Planning Your Dream Home - Kurt Krueger Architects, Inc. Thinking of remodeling or building a new home in the Los Angeles area? Are you getting conflicting advice and don’t know where to start? This can be a stressful process since there are so many horror stories of people having poor experiences – this is entirely avoidable with the correct research, planning and advice. We’ve put together the Ultimate Home Planning Guide to help you get your home design project underway. 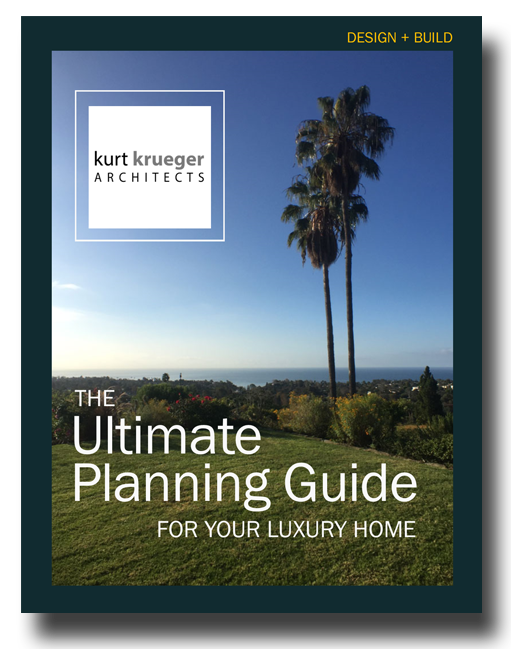 Wheter you’re consiering Brentwood, Pacific Palisades, Benedict Canyon, Marina Del Ray, or in the downtown urban core this free guidebook has the right information for you to plan your home design project. We want to help you move forward with your project and to understand the design and construction process and not be overwhelmed or confused but rather to enjoy the process and look forward to the day you’ll move into the home that has been so carefully designed just for you. 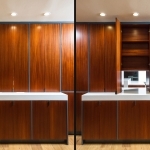 Kurt Krueger Architects is a full-service architectural firm in Los Angeles. We specialize in design-build architecture and delivering superior high-style design along with the highest caliber construction quality. These free resources provide information about understanding how design-build is the best way to develop a new home by explaining the process, budgets, goal setting, and the value of a single point of accountability. Get inspired by viewing a collection of select homes in our Portfolio. When you’re ready to talk, contact us to discuss your project. Learn more about our firm, Kurt Krueger Architects.